Over the weekend, the Washington Post’s Dana Milbank published a column on the debacle at Arlington National Cemetery in Washington, DC. There is a reason that I am interested in Milbank’s column but before I explain why, here’s a brief recap of Arlington’s current problems: 211 unmarked graves, misplaced headstones, and the dumping of human ashes in dirt, along with speculation that there are up to 15,000 instances of such desecrations, all brought to light by whistleblower Gina Gray. Milbank’s column follows on from over a week’s worth of reporting about all of these problems and more. I’ve listed many of those articles below. The first report to come out was by Mark Benjamin at Salon.com and you can find it below too. The point, I think, is this: Dana Milbank and everyone else got information from a person who saw what was going on at Arlington and blew the whistle. Gina Gray, whom Milbank names, worked for a short time at Arlington until disagreements with her superiors caused her to be fired. She also served in the Army and it seems clear that her sense of duty to the dead soldiers overrode any sense of job preservation. She could have kept quiet about the problems that she saw but she didn’t. She contacted reporters until the issue finally made its way to the Inspector General’s office. It’s worth noting, I think, that Mark Benjamin’s reports appeared in Salon on July 16, 2009. Almost a year ago now. I don’t actually see this as a situation where the Inspectors moved too slowly. Instead, it seems as if the situation quickly unwound and became a lot more complicated than initially expected. Regardless, Arlington National Cemetery will see these problems fixed. That’s not much comfort for families who are not sure whether or not their dead loved one is affected and it never will be. The problems being reported are a serious situation and they will be studied for some time to come as examples of the worst things that could happen to a cemetery. Thanks for including the Compendium of articles in your post. The situation at Arlington National Cemetery has been going on for some time. I first heard rumblings about this when I began conducting funerals there in 2003. The compendium shows that the situation did not occur overnight and that certain officials had an interest in keeping it quiet. Given the Number of funerals conducted and number of people involved with Funerals and burials at Arlington it is amazing that there have not been more difficulties. THE PROBLEMS GO DIRECTLY TO THE LACK OF COMPUTERIZED RECORDS. THIS IS A CLEAR ADMINISTRATIVE ERROR. 100’s of folks at ANC do all they can to honor our war hero’s in the best way possible Everyday. AND YES THERE SHOULD NEVER BE AN ERROR IN ANY MILITARY HERO”S BURIAL. 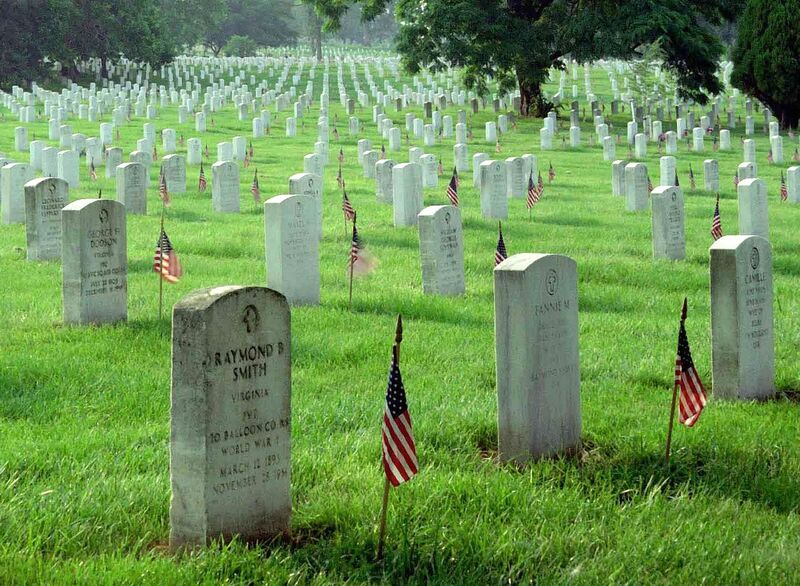 A Burial at ARLINGTON NATIONAL CEMETERY IS A MOVING EVENT THAT ONE NEVER FORGETS. THE BEST FUNERALS AND BURIALS ON EARTH TAKE PLACE THERE. ADMINISTRATION ERROR IS UNFORTUNATE-Easily FIXED, and should have been taken care of Years ago. A GREAT PLACE WILL SOON BE GREATER! While I think it is right and proper to identify the remains of a soldier with all modern technology, and once identity is certain, detailed data recorded, and living relatives notified, that should be the end of it. Humans as a species should mature to the point where respectful disposal of the physical bits and pieces of bone could indeed be anonymously intered. If relatives have been advised that their loved one has been identified without any question, and given the due respect of a marker in Arlington, how primitive is it to actually go and stand over the precise spot where the bones lie? My grandmother was the most precious human being in my life when I was growing up, but I’m not even sure where she is buried, somewhere in Long Island NY. She is part of who I am, not only genetically, but in the formation of my life and character. It’s quite anachronistic and bizarre to think of millions of dollars set to be spent on connectin bones to markers.If Science cn give us closure physically, isn’t it even better to carry our memories with us?